Description: The cost of avenging the death of his sister was ten years in prison, but Blue Bowman willingly paid the price. Now he has one more score to settle: destroying the wealthy Montana rancher who abandoned his mother and shattered his family—his father, Gordon Campbell. 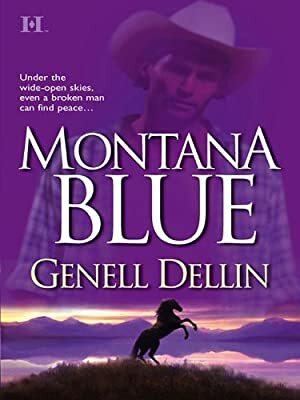 Strange luck lands him a job at the massive Campbell spread—and Blue finds himself back in the saddle gentling horses, especially one wild, magnificent roan whose tortured soul mirrors his own. And the quiet strength and beauty of veterinarian Andie Lee Hart, a single mother with a troubled teenaged son, almost lets him forget the past. Soon Blue will have to make a choice…but will it be to satisfy the demons inside him, or trust his life to the power of love?